Photo: Permanent Secretary Hodge said that young people are the federation’s greatest resources. Basseterre, St. Kitts – This year’s 34th Independence Anniversary will be celebrated under the theme “Youth, Vision, Integrity: Securing our Nation’s Prosperity.” The theme was chosen from a number of entries submitted and won by Donnette Dyer-Maloney of Nevis. The prime minister, the Honourable Dr. Timothy Harris, congratulated the winner, describing her submitted theme as an excellent choice. A national independence theme competition was launched by the Ministry of Education. 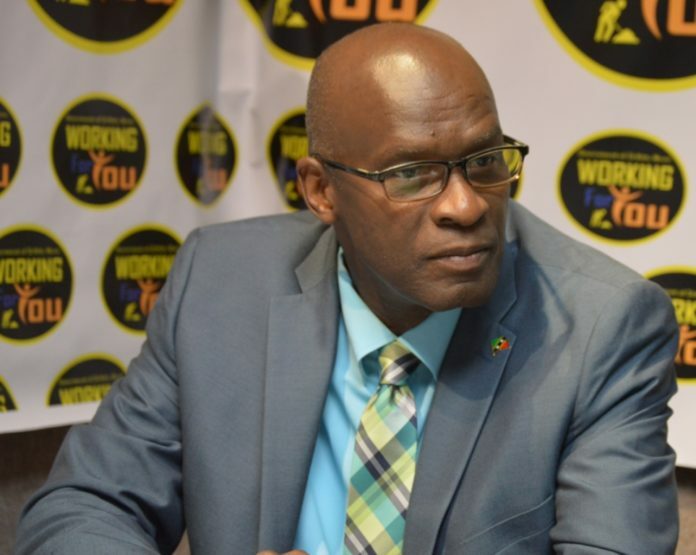 William V. Hodge, chairman of the Education Sub-Committee for Independence and permanent secretary in the Ministry of Education, indicated that the Ministry of Education will play an integral role in Independence 34 as the cabinet declared that this year’s celebration will focus on the federation’s youth. Hodge noted that the young people of the federation are extremely important to the future development of the nation. Speaking passionately about the nation’s youth, Hodge said that the young people are the federation’s greatest resources, and all must be done to ensure that they know and understand their importance to St. Kitts and Nevis. To further involve the youth in this year’s independence celebrations, a committee comprising principals, teachers and others in the broader education sector was established. In addition to the usual patriotic programmes in schools, a number of other activities, including a night of music, drama, poetry and elocution, dance, choir and a school beautification competition, are planned to capture the interest of the young people.